Joe Murnan played without noteworthy success from 2006 to 2011 the BDO Circuit. 2011 he qualified as an amateur for the UK Open and played himself under the last 32. 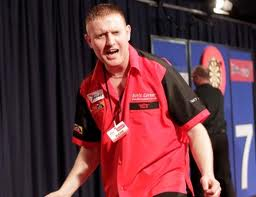 In 2012 Murnan decided to try his luck with the PDC zu versuchen and took part in Qualifying School. he got himself a Tour Card. In his first year on the Pro Tour he qualified again for the UK Open but lost this time first round and once reached the last 16 of a Players Championship.